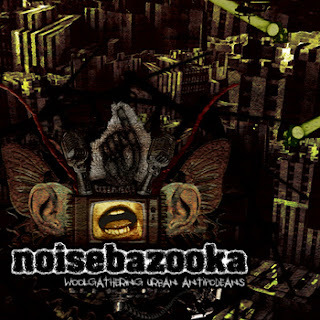 "NOISEBAZOOKA is a 2 piece grindcore-band from Vienna / Austria / Europe and was formed in late November 2005 out of the ashes of MONOLITH (1997-2005) to produce and perform extreme, fast, chaotic and aggressive grindcore-music in the vein of early NAPALM DEATH or BRUTAL TRUTH combined with the new sound and weirdness of AGORAPHOBIC NOSEBLEED, DISCORDANCE AXIS or YACØPSÆ... NOISEBAZOOKA stands for a shredding and blistering guitar, non-pitchshifted vocals and screams, and insane fast drumcomputer-blasts. NOISEBAZOOKA constructs harsh, cold and ultra "destructured" atmospheres that turn your brain into pieces. NOISEBAZOOKA's live performances remind someone of hyperactive and insane breakdowns. NOISEBAZOOKA sets definitely free the essential energy of grindcore."